Everybody wants a slice of the booming economy, which explains increasing property rent prices. But this is also having a negative impact on low-income families. For two pensioners living on €600 a month and paying €500 in rent, making ends meet becomes an exercise in the impossible. But this is what some of the more vulnerable in society have to endure, according to Charles Miceli from Alleanza Kontra l-Faqar. The two pensioners may receive a monthly subsidy of €80 from the Housing Authority but this will hardly be enough to give them a breather. The option would be for them to move out of the apartment and try to find a place with cheaper rent. But even this is becoming a more difficult exercise. Rents have been increasing across the board as the economy prospers and demand for letting increases as a result of an influx of foreign workers. 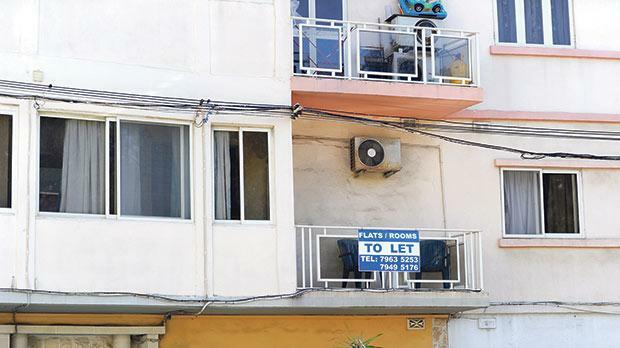 The phenomenon can also be witnessed in Cospicua, known for cheap rental housing, where the prospect of a private university campus at Dock 1 has already started pushing rents up, Mr Miceli says. He notes that a recent Caritas study, which mapped out the adequate income for a decent living, only took into consideration the cost of annual rent for government social accommodation. “This amounts to some €200 per year but with no social housing units available many have to rent in the private sector where rents are significantly higher,” he says. The poverty campaigner says increasing rental prices is one of the foremost issues in the social sphere and it requires immediate attention. There are more than 3,000 people on the waiting list for social housing and although the government has announced plans to build hundreds of units, it will still be some time before any become available. Meanwhile, these people have to rent in the private sector and are at the mercy of market forces that have pushed rents up, particularly over the past four years. Figures obtained by the National Statistics Office show how the average monthly price of a single bedroom apartment shot up by 38 per cent between 2012 and 2015. The increase is eye-watering when one considers that the annual rate of inflation in 2013, 2014 and 2015 was hovering around the one per cent mark. The rental sector has operated in an unregulated free market since 1995 when rent laws were first changed to do away with archaic laws introduced just after World War II intended to give tenants long-term security at the expense of landlords. “We have oscillated from one extreme to another,” Mr Miceli says, adding the current situation favoured landlords at the expense of tenants. He believes some form of legislation is required to regulate the rental market. In some big cities in Europe, he argues, the law imposes a minimum duration for rental contracts to give tenants stability and puts a cap on the percentage increase throughout that period. The government has acknowledged the problem of rising rents, with the Prime Minister recently describing it as “a side effect of a thriving economy”. Deputy Prime Minister Louis Grech has been entrusted with leading a working group to analyse the situation and propose solutions. A spokesman for the Deputy Prime Minister said it was premature to pre-empt the work of the group by talking about particular mechanisms to address the problem. “But rent control is not necessarily the only way, or even the best way, of addressing the issue,” he said. Economist Philip Von Brockdorff believes that rather than meddling with the free market, the government should specifically target those in need of assistance by building social housing. “The government can opt for a hybrid system that introduces some controls but this can have its flipside and is very likely to be resisted,” he says, adding the price of rent also depends on the locality and location of the property. He puts his finger on the higher demand by foreign workers for the increase in property rents. “We are not talking about the top-end, high-income foreigners because that is a separate rental market. But there is a large group of foreign workers who rent average apartments, mitigating part of the high rental cost by sharing,” Dr Von Brockdorff says. Unfortunately, for permanent residents with families, sharing is not an option, although poverty advocates have recorded instances where this has happened in places like Qawra. The knock-on effect of higher demand by foreigners is leaving permanent residents with a heavier burden to shoulder. Mr Miceli says it is alright to argue that the free market should be allowed to drive itself. But when it is running roughshod over people, he expects the government to intervene. An informal inter-ministerial working group of experts from different social, economic and financial backgrounds has been exploring different concepts and even drawing up preliminary costings. The group is functioning under the guidance of Deputy Prime Minister Louis Grech and a spokesman said it will shortly be expanded to include other stakeholders, including NGOs. The main aim is to target poverty and one of the issues at stake is rising house rents. The spokesman said the group will take stock of government initiatives to address poverty in the three past budgets and develop a comprehensive set of initiatives that will combine assistance to the most deserving and vulnerable sectors of society with “the maximum empowerment possible” so that lifting these people out of poverty becomes sustainable. Size of a three-bedroom ranges between 110 and 130 square metres, a two-bedroom between 80 and 100 square metres and a one-bedroom between 40 and 60 square metres.